A new study led by scientists from Wildlife Conservation Society-India Program, Centre for Wildlife Studies (Bangalore), and University of Florida, USA, presents the first home-range size estimate of Asiatic wild dogs or ‘dholes’ based on camera trap surveys. 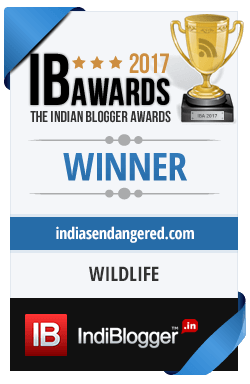 The study, based on intensive camera-trap surveys conducted in Nagarahole and Wayanad wildlife reserves in the Western Ghats India, was part of a long-term project on tiger population dynamics in the region. The researchers found the Dhole home range to be approximately 85 sq.km based on their method. “Typically, radio-telemetry is used to obtain information on home-range sizes of large carnivores such as dhole. This is expensive and requires careful handling of animals. In contrast, our estimates are generated through innovative use of non-invasive and relatively inexpensive camera-trap pictures”. From November 2014 to January 2015 (45 days), the researchers set-up and monitored camera traps which yielded incidental photographic captures of dholes. Unlike tigers or leopards, individual dholes cannot be uniquely identified from camera-trap photographs because they do not have pelage patterns or natural body markings. However, the researchers could identify two wild dogs with unique markings helping them track and map them during the survey. In the 45 days when camera traps were laid in the area to study large mammals, the researchers observed the marked dholes and their pack from time to time. Based on their sightings, they mapped an approximate area of 85 sq. km of the Dholes in the Western Ghats. This is higher than previous estimates done in 1982, 1995 and 2005. There are 900-2,100 mature dholes surviving globally. Despite being listed as ‘Endangered’ on the IUCN Red List, dholes remain one of the least studied species among large, social carnivores. This could also be because of the fact that they are difficult to capture, radio-collar or track because of their movement behavior. Without unique markings, it also becomes challenging to identify individual dholes. Considering the challenges, the present study has therefore found a way to track dholes in a non-invasive way using camera traps. The researchers do add that this survey was conducted for a brief period only and therefore cannot provide the annual range estimate of the wild dogs. 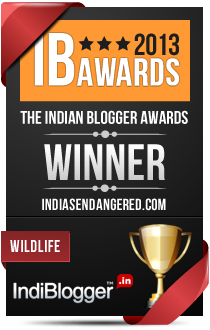 Nonetheless, it opens a new way of safely observing a less researched Indian species.